Includes a FREE copy of the GO! Cat on a Hot Tin Roof Wall Hanging Pattern printed on the packaging of this die. 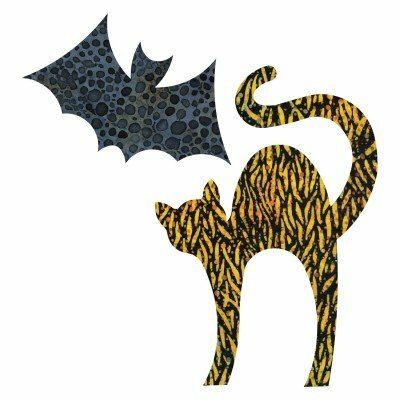 This cat and bat are perfect for your Halloween projects. Combine these shapes with GO! Pumpkins, GO! Circle-8" for full moon, or GO! Fall Medley to create any number of spookalicious ensembles for festive home decor, costumes, trick-or-treat bags and so much more! Halloween has never been more popular and this wall hanging is filled with scream-worthy charm. Its detailed black cat silhouette, flapping bats, rooftop, and moon design are a snap to cut with your GO! Fabric Cutter and this pattern makes it so easy it's scary.